Chateau Ste. 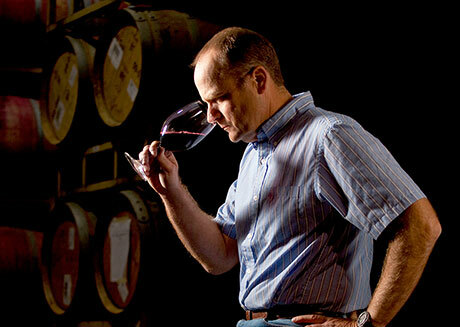 Michelle’s Head Winemaker Bob Bertheau and his Washington team, along with Rhône valley collaborators, winemaker Michel Gassier and enology consultant Philippe Cambie, have combined their experience to produce two wines: Tenet GSM (Grenache, Syrah, Mourvèdre) and The Pundit Syrah. Philippe and Michel provide expertise and use local techniques honed through centuries of experience with Rhône grapes in their birthplace, while the Chateau Ste. Michelle team provides expert knowledge of Washington fruit and the best in modern winemaking techniques. The combination of the two approaches produces wines that are balanced and vibrant and have a true sense of place. The goal is to break the old paradigms and have people look at Syrah and other Rhône varieties in a new light, leaving old prejudices behind. 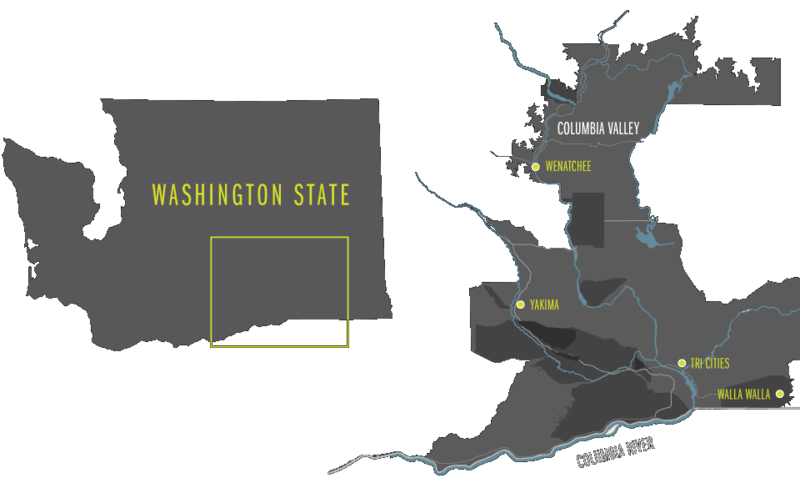 They share the strong belief (or “tenet”) that Syrah and its Rhône brethren can thrive in the Columbia Valley. In addition, Gassier has crafted a companion wine, Le Fervent, from the Costières de Nîmes AOC of the Rhône Valley. Offering wines from both regions, the aim is to show their respective character and their common excellence. The goal with these wines is to exhibit the growing regions by letting the opulence and vibrancy of the varieties shine through while maintaining finesse and balance. Rhône Valley techniques for managing vine canopy and cluster size in the vineyard, and minimal use of new oak, delicate and precise handling of the fruit, fermentation with stems and extended maceration in the winery all help to accomplish this goal. From vineyards grown at a similar latitude to the Northern Rhône, a region where French winemakers have mastered the art of terroir expression, the sand over basalt terroir is the perfect situation to make wines with a lot of finesse and balance, rather than just power. Favoring larger sizes and once-used barrels for aging, the oak print is kept to a minimum, leaving room for the minerality to shine through. Cooler vineyard sites were selected, canopy size and load were adjusted, and grapes were hand-harvested to include whole clusters. The winemaking team then embarked on long macerations, reduced vineyard stress and used various techniques to ensure smaller clusters. This effort led to grapes with more concentrated flavors, without the decadence and intensity that result from more traditional domestic Rhône varietals. The Chateau Ste. Michelle winemaking team also applied techniques perfected by Philippe. All grapes at Chateau Ste. Michelle are subjected to rigorous sorting and are treated with the utmost care. Inclusion of stems in fermentations, however, provides very specific and unique characteristics that are certainly a departure from more fruit–driven Chateau Ste. Michelle wines, as is the use of extended maceration. These techniques lead to increased complexity and a different expression of terroir. Their employment, followed by minimal handling of the wine in barrel and the increased use of neutral oak and large format barrels preserves these different characters all the way to the bottle. The birthplace of Syrah, the Northern Rhône, with its signature of elegance and freshness, is the touchstone for all Rhône Valley Syrahs. So it’s no surprise that Le Fervent takes its cues from its northern neighbors like Cote Rôtie and Hermitage. Produced in the Costières de Nîmes AOC (the southern-most appellation in the Rhône Valley) on some of the coolest spots of the Southern Rhône, thanks to the influence from the Mediterranean Sea, Syrah and a bit of Viognier are co-fermented and accompanied by whole cluster (stem inclusion) maceration. These techniques highlight the mineral nature of the fruit, while increasing the overall impression of freshness. I am Tong from the FINE WEST CHINA which is a professional fine wine importer that now focus on fine wines. And our Business model is only on B2B. We do as the wine selection and suggestion for our clients. Now we have imported more than 100 fine wineries’ products all around France and service more than 300 fine wine distributors who know wines well in china. We help these distributors to build a competitive wine list with both quality and value . We are developing our wine list to service our distributors for the coming 2017,so we are very pleasure if you can give us your wine list by EXCEL version. Our Business is more like a buyer who is helping the distribulters in China to find the French fine wine. We do selection of different subject wine list for them as suggestion. We do the service for them as a importer. Our clients also request to us to find the wine for them. CHENGDU FINE WEST INT’L TRADE CO.,LTD.